Earn $15.69 in Rewards credit. Click to learn more. Park makes it easy to work anywhere. 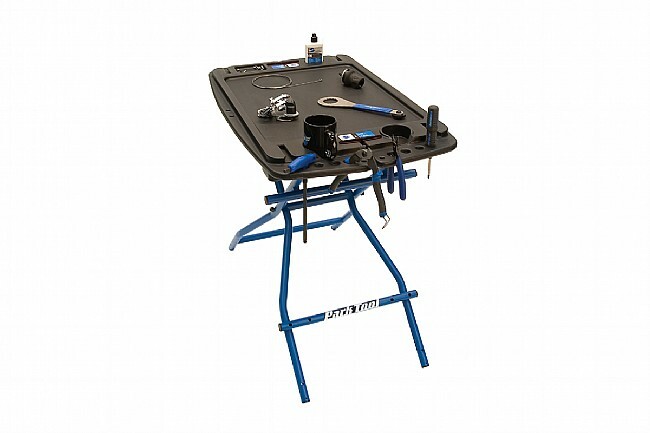 The PB-1 Workbench is the ultimate companion to their super portable repair stands. Folding design is sturdy and makes transportation and storage a breeze. 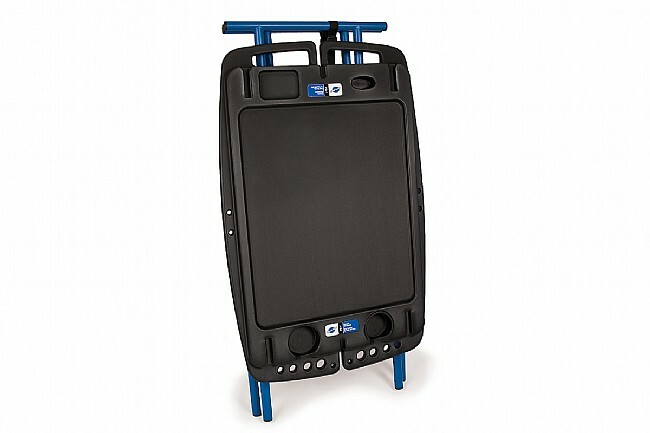 Features specifically sized slots to accommodate tools, lubes, shop rags and more. 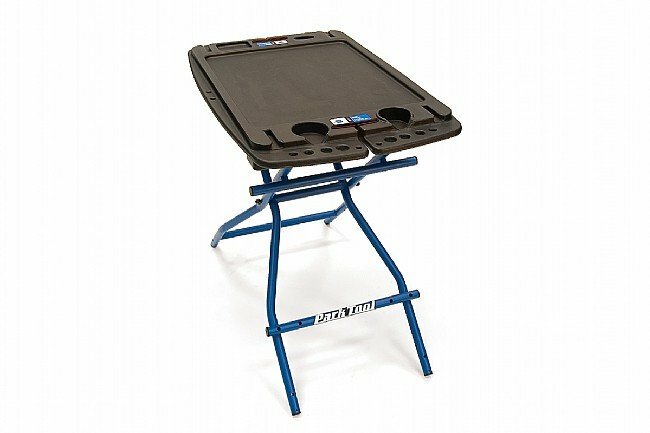 Folding steel legs easily and securely accommodate a tool box and supplies.